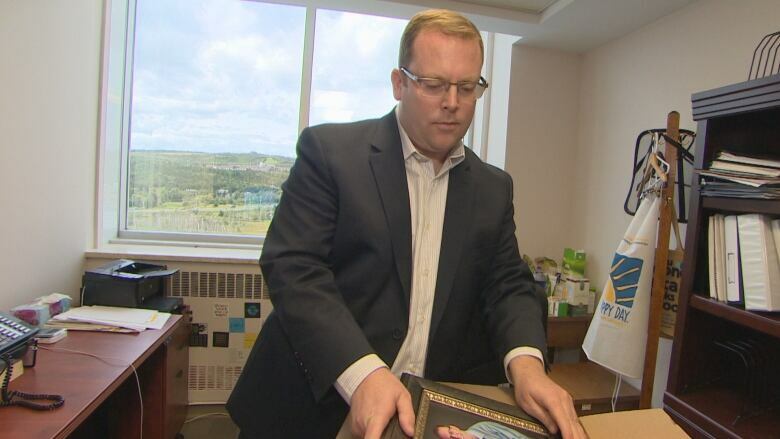 Former MHA Steve Kent, now in top bureaucratic job with Mount Pearl city council, says his involvement in the byelection campaign to choose his successor in the legislature has been "very limited." 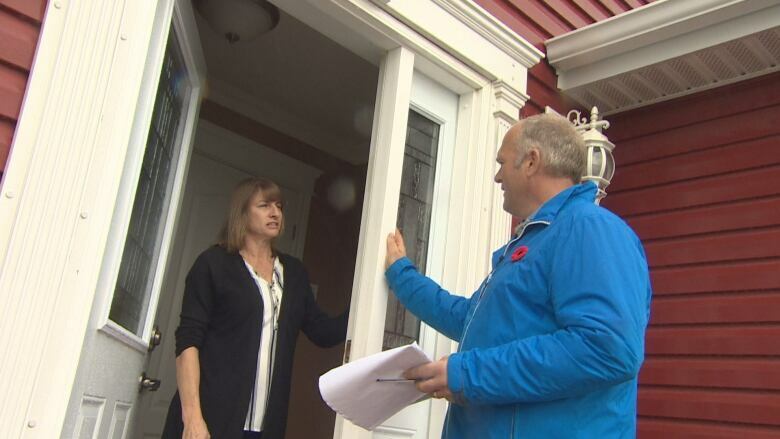 An email obtained by CBC News appears to suggest that new Mount Pearl city manager Steve Kent is giving more than "moral support" to the man looking to fill his former seat in the House of Assembly, but Kent insists his involvement has been "very limited." Kent wrote an email to key players in Jim Lester's campaign on Saturday, Oct. 28, spelling out plans on everything from a leadership team meeting and door-knocking activities to potential endorsements for Lester's campaign. The email was sent from Kent's personal email, and refers to "some notes from Andrew and I" that he hoped would "get things moving quickly this weekend." The "Andrew" referenced in the email is Mount Pearl city councillor Andrew Ledwell, who is helping with Lester's campaign. Kent stressed that he is not breaking any rules, and is not playing a significant role in the campaign. "My involvement has been very limited," Kent said in an emailed statement to CBC News. "I cannot actively participate, but I have, in my private life, offered advice and support." Kent referenced the contents of that leaked Oct. 28 email, by noting that "I have offered advice, as you have seen." The message paints a portrait of someone playing an advisory role in the campaign. "Would be great if Paul and Kevin could talk to Chuck Nurse this weekend and ask him to formally join the team," Kent wrote in his email. "Would be good to have him on doors, and also in one of Jim's print pieces and social media." Chuck Nurse also challenged for the PC nomination in Mount Pearl North, but lost to Lester. The district of Mount Pearl North has been held by the Progressive Conservatives for 24 years. Jim Lester is hoping to keep it that way. Kent's email appears to contradict a comment made by Lester to CBC News earlier this month. "Steve and I have been close friends for a long time, and no he's not able to participate in the campaign, as such, with his new employment," Lester said. "But you know what, as a friend, you know, he's been able to talk to me over the course of the past few months." Lester steered requests for comment Tuesday to campaign spokesman and former PC MHA Dan Crummell. "Kent is certainly not giving direction to the team," Crummell told CBC News. So how does Crummell explain the email? "The only comment I can make about that is again, you have a situation where you have somebody who is friends with somebody who is running as a candidate, and so he's providing some advice," Crummell said. Kent is no ordinary municipal administrator. 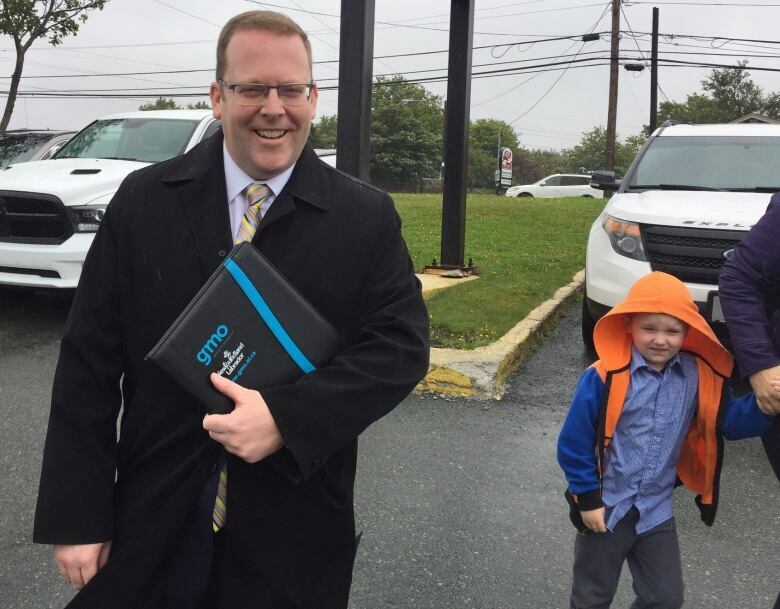 He served as MHA for Mount Pearl North for a decade, held several cabinet positions during his time in government, challenged for the PC Party's leadership in 2014, and was deputy premier for a year. He was signalling his intention to seek the party's leadership once again in recent months, but shook up the political landscape in September by announcing he was leaving elected politics for the chief administrator's job in Mount Pearl, a position that comes with a $195,000 annual salary. His employment contract prohibits him from being politically active on the job, but there are no such restrictions in his private time, said Mount Pearl Mayor Dave Aker. "It worries me if it crosses the line whereby if that type of work is being done at the City of Mount Pearl, using city email accounts or if that type of work is being done during office hours," said Mayor Aker. "If it happens on personal time or on the weekends, I'm still concerned about it, but not as concerned as I would be if it was happening publicly." 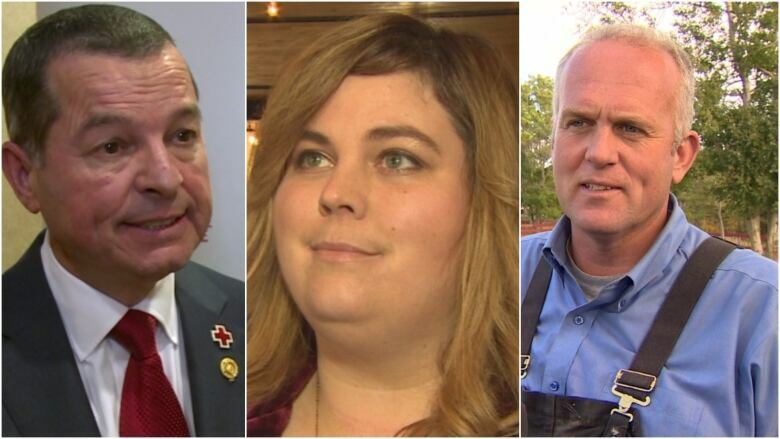 The Mount Pearl North by-election, scheduled for Nov. 21, has Lester running against businessman and real estate broker Jim Burton, who is the Liberal candidate and the NDP's Nicole Kieley, a women's advocate and former director of the Women in Resource Development Corporation. Kent denies that he's actively campaigning for Lester, instead describing his role as offering "moral support and advice." In response to an interview request, he provided a written statement saying he's working 70-plus hours a week in his new job, and does not have time for political campaigns. He acknowledged offering "minimal" behind-the-scenes advice, however. "Jim is my friend. Many of my friends are also involved of course," Kent wrote. "Publicly, I have offered congratulations to other candidates. I have not promoted Jim or the party on social media or otherwise. He and his team have sought advice, which I have gladly offered." Kent said he fully understands and respects the terms of his employment with the City of Mount Pearl. Senior bureaucrats with the provincial government are prohibited from engaging in any form of political activity, but such restrictions do not extend to the municipal level. Mayor Aker said he would welcome change on that front. "It's something I'm going to strive for. I've said to CAO Kent that at the end of the day, the city has to be a little bit stronger in laying down its policies," said Aker. "So I speak with you today based on conversations and standards that I've set, but I will be working with my council colleagues to ensure that all staff abide by the same standards, over and above their contracts."